HCM Launches Inaugural Day of Giving! 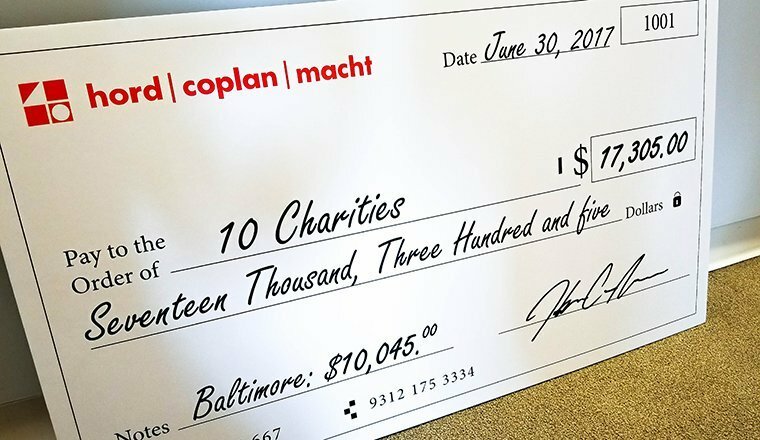 In celebration of the firm’s 40th anniversary, Hord Coplan Macht launched its Inaugural Day of Giving. On June 30, 2017, every HCM team member was given the opportunity to donate, through their paychecks, to one of a number of local charities. In addition, HCM also donated $40 (one dollar for every year of our operation) to the selected organization.